Learn to Maximize your Menu, Save Money and Make even More ! Revenue-revving routines . . . . . Proper menu pricing is an important component of a successful concession, but it’s a tricky balance between bringing in dollars without scaring off your customers. “This is an inside-the-four-walls captive audience, similar to a movie theater,” Holtzman points out. At the movie theater, it seems acceptable to pay $4 for a soda, while at your neighborhood convenience store, you wouldn’t stand for it. “But 7-Eleven is not your competitor,” Holtzman adds, meaning that you don’t have to price your product that low. “Choose pricing in the middle of the road,” he says. PHOTO COURTESY OF STAR MANUFACTURING INTERNATIONAL INC. 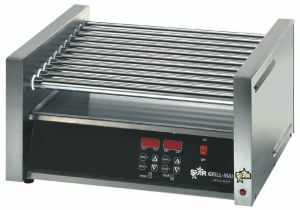 The appropriate equipment can make all the difference in your kitchen. At the Wave Waterpark, Handler learned from working with the consultant that your cost for a menu item should be about 30 percent of what you’re selling it for. “Let’s say a meal deal total cost [to us] is $1.50,” Handler explains. “We were selling it at $3. We should have been charging $4.50.” The consultant told him, simply, “You’re charging too low or you need to find a way to decrease cost,” Handler says. No matter what your pricing, it makes sense to push the items with the highest profit margin, Wilkinson says. In general, soda sales offer high profitability. Selling brand-name soda already attracts customers. Selling it from a fountain machine rather than bottles offers even higher earning potential. “If you have both [fountain and bottles], you’ll sell 50 percent of both,” Holtzman says. “But if you only have fountain, you’ll sell all fountain drinks, and it’s much cheaper.” Plus, it saves valuable inventory space, he adds. Holtzman also suggests a clever marketing tactic when creating your menu: Include a menu item that out-prices other options, in turn making those other choices appear like a great deal. Even the best-conceived menu won’t stand a chance if you can’t get customers through the line quickly. Sometimes the system hits a snag when employees get tired or lazy. “Put some pressure on your staff to move faster,” Holtzman says. Good old-fashioned bribery can often do the trick. “Watch register A and register B and see who’s processing faster. Make it a contest to see who can ring the most orders faster—and then, watch them ring,” he says. Reward the faster of the two with some sort of bonus, maybe $5 or free tickets to another facility. Problems can also arise when employees are unsupervised and inexperienced. “Make sure you make your presence known often and unexpectedly,” Delaney suggests. “The hardest part with employees is not letting them give away food to their friends or themselves,” she adds. Besides serving as a check on your employees’ actions, your regular appearances send the message that you care about the concession, how it’s running and if the employees need anything. Plenty of outdoor seating is included at Lilly’s Kitchen concession stand at the Wave Waterpark in Vista, Calif.
“When it’s really busy, we’ll go in and assist them,” Delaney says. If certain processes are slowing down your employees, find out what they are and try to fix them. “Listen to your staff and find out what problems they’re having,” Holtzman says. A common problem is long lines. When the heat is on, and you’ve got impatient, hungry customers, hand out menus to people as they wait or even take orders in line. Either way, when the customers get to the register, the cashiers don’t have to wait for an order. They just have to look at the ticket and ring in the order. “And the customer doesn’t have to remember what he wanted,” Holtzman adds. At the Wave Waterpark, Handler recalls that his grill would suffer huge backups. “People used to wait up to an hour for a chicken sandwich at the barbecue,” he says. “So, we had a mob of people wanting their chicken and their money back.” Now, on busy days, the grill chefs have about 10 chicken sandwiches ready to go, so no one has to wait very long. Cost-cutting concepts . . . . . . .
Those chicken sandwich revenues can also benefit from some solid cost-saving and dollar-stretching measures. “Look at your supply channels to make sure you’re buying right,” Wilkinson advises. Handler used to purchase his sandwich buns from a large supplier and was unfairly charged for squashed buns. He now gets his buns from a warehouse store. “They’re cheaper and more reliable than we were getting from our supplier, and they never run out,” Handler says. It’s important to scrutinize your contracts with food vendors and subcontractors. Consultants have particular expertise with these contracts and can offer valuable assistance. When city of Aspen, Colo., Recreation Director Tim Anderson hired a food-service consultant to help develop the concession at his expanded recreation and golf center, he realized he and his staff were not well educated on how to negotiate the best contracts. While Anderson’s subcontractor had given him numbers as to what to expect in terms of sales, the consultant examined the contract closer. PHOTO COURTESY OF THE WILKINSON GROUP, INC. 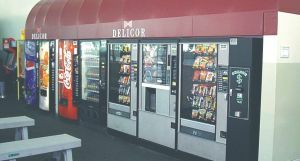 Vending machines are another food-service option, like these at Yerba Buena Ice Skating & Bowling Center, Mosconi Center, in San Francisco. You might only give your contracts attention when they come up for renewal. At that point, you’re probably in the middle of so many other tasks that you hastily sign the contract to hustle it off your desk. “When managers are in a hurry to dispense with this task, the easiest way to get rid of it is to just sign it,” Wilkinson says. “But more often than not, the circumstances of the contract are not as good as they could be.” You may save time in the short-run, but you could save money in the long haul if you take the time to examine the specifics upfront. For one thing, the contract is typically created by the vendor or subcontractor, so it’s going to favor them and not you. “Buyers have to make sure they put in their own safeguards,” Wilkinson says. For example, the Wave Waterpark was being charged a whopping $12 each time their food supplier made a delivery. Handler also saved dough by making dough—for his pizza. He had been ordering 100 pizzas from a vendor, but they’d sit all day and suffer in quality. “We tried doing a three-quarter cooked, and that was better, but it still requires effort, so we figured why not put that effort in and cut down on our costs at the same time,” Handler says. Now, he outsources the dough and can prepare crusts during lulls in concession activity. PHOTO COURTESY OF A.J. ANTUNES & CO.
Like pizza, popcorn and nachos, hot dogs still remain good ol’ staples of the concession industry. “We used to get an eight-slice pizza from a vendor for $6.25, and now I can make a pizza for $4.55,” he says, adding that his pizza also creates larger slices, providing a better product to his customers. 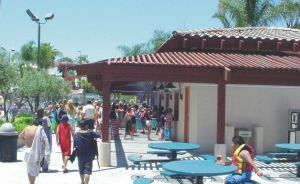 Another helpful change at the Wave Waterpark was investing in a point-of-sale system. While such software can cost thousands of dollars upfront, if you have the revenues to warrant it (the Wave now pulls in about $230,000 a year in concessions), it can make sense. Handler was able to track inventory and sales better than before, so he knew what was selling well and what was sitting on the shelves. “For example, out of 10 ice cream flavors, we found that seven weren’t selling fast enough to make it worthwhile to keep them,” he says. Whether you decide to purchase point-of-sale software, the important thing is to keep track of profit and loss. One element to consider is labor cost. Assess the number of employees and the hours they worked and determine the percentage of labor vs. the revenues for each day. You might realize that it’s not even worth opening the concession during certain hours. “I see a lot of facilities staying open when they shouldn’t,” Wilkinson says. Fresh Feast: The top 10 New Concessions at MLB Ballparks ! While visiting Yankee Stadium on a Thursday for Game Day, I was disappointed to see that the food choices at the concession stands hadn’t changed since the 2010 season. One would really think that they could have found the time to bring in a good taco stand. Alas, I’ll have to stick with my tried and true favorite this season in the Bronx: the footlong all-beef Hebrew National hot dog with a dollop of mustard and a healthy scoop of kraut. Luckily for some of the rest of you, there are some interesting new foodstuffs at your local ballpark. While I’ve only been able to taste a couple of the new snacks and stuff showing up around the majors, there are several dishes that piqued my interest enough to collect them in the following listicle. 1. Pulled Pork and Pierogi Stacker, PNC Park, Pittsburgh: This tasty towering treat is a contestant in a Pirates fan poll this season at PNC Park. The stacker consists of pulled pork atop of a pretzel roll with caramelized onions and two potato pierogi for good measure. The $8 sandwich will be sold alongside the Stuffed Pepper Hoagie, a banana pepper filled with sausage and cheese, served on a hoagie roll that’s doused with marinara. 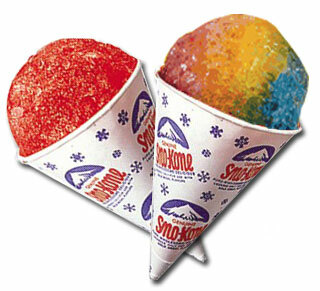 Fans will be able to vote on their favorite concession up to the All-Star Break. Winner stays on the menu, loser hits the dumpster out back. 2. Red White and Blue Steak Sandwich, Great American Ball Park, Cincinnati: This gargantuan beast features sliced steak, Maytag blue cheese and sweet and spicy Peppadew-pepper mayonnaise and is served on a baguette. It was created in the Food Network kitchen and is actually available in several different parks this year. It’s a steep $12 at GABP but it costs a whopping $14 at Busch Stadium. Apparently St. Louis Cardinals fans are willing to pay a bit extra for the privilege of eating a sandwich that Guy Fieri presumably signed off on. 3. Racing Sausage Kabobs, Miller Park, Milwaukee: Bonus points for these skewered sausages because they are the creation of a fan in a concession contest. In a stroke of genius reminiscent of Top Chef, Brewers fan Courtney Ring decided to poke a couple sticks through the famed Racing Sausages, (bratwurst, Polish, Italian, chorizo and hot dog) and grill them up with some veggies. Sounds delish! Just keep Randall Simon away from the grill, Courtney. 4. Peanut Butter Kandy Kakes, Citizens Bank Park, Philadelphia: The Tasty Baking Company, like John Kruk, is a fattening and beloved Philadelphia treasure. Their line of Tastykakes products, including Chocolate Cupcakes, Butterscotch Krimpets, and the Peanut Butter Kandy Kakes, will be sold at Phillies games this season after Aramark installed special countertop coolers to keep the icing from melting into a pile of goo. Everyone has a favorite Tastykake but the peanut butter varietal stands out to me for…well… its peanut-butteriness. These will run you $2.50. 5. Steamed bun and Thai salad, AT&T Park, San Francisco: Always ahead of the curve on the concession front, the good people at AT&T Park are pairing two Asian cuisines in one dish. Giants fans will be able to nosh on a Chinese-inspired steamed bun, or bao, along with a Thai vegetable salad. The key to making interesting ballpark food doesn’t have to be absolute authenticity to foreign cuisines. Just embrace the cuisine, borrow from it, and adapt it. Kind of like how the Giants “adapted” Aubrey Huff(notes)to patrol right field. 6. Vienna Beef hot dogs, Wrigley Field, Chicago: Here’s some good news forKerry Wood(notes) and his wife (right), who once visited the Vienna Beef headquarters to learn how their sausage was made: For the first time since 1982, Cubs fans will be able to chow down on local, 100% all-beef wieners. 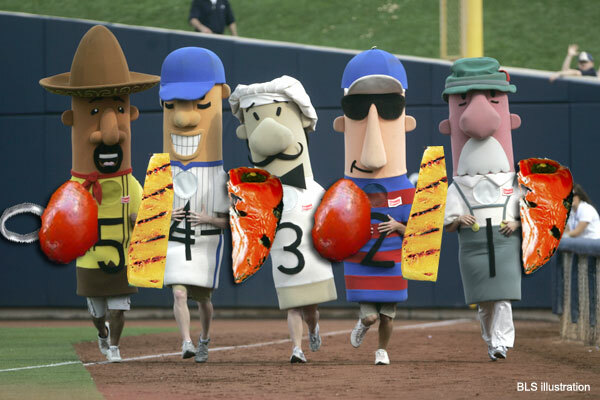 The Ricketts family kicked Ball Park franks to the curb in favor of Chicago-based Vienna Beef, who will also offer five specialty dogs: the Taco Dog, Frito Dog, Deli Dog, Nacho Dog, and the Heater — a hot dog topped with blue cheese coleslaw, celery salt and buffalo sauce. Heck, I haven’t seen that many dogs in one stadium since the last Paws in the Park. 7. Danny Meyer’s Genius, Nationals Park, Washington: You’ll have to wait until June for the biggest concession move of the 2011 season. Successful New York City restaurateur Danny Meyer, whose snack concepts revolutionized the outfield concourse at the Mets’ Citi Field, is taking his talents down I-95 to Nationals Park. He’ll be opening a barbecue joint, a Belgian-style frites bar, an authentic taqueria, and a D.C. outpost of the famous burger joint, Shake Shack. That’s quite a salve for the Nats fans hurt by Five Guys’ recent departure. 8. Bacon-wrapped BBQ Dog, Busch Stadium, St. Louis: This creature is a true paean to calories, fat and cholesterol. Only in Missouri would it make perfect sense to wrap a hot dog in fatty bacon and smother the whole thing with baked beans and tangy barbecue sauce. Season ticketholders beware: Buy one of these mothers per game in 2011 and you won’t even be around to see if Albert Pujols(notes) signs a long term extension with the Cardinals in the off-season. Bacon-wrapped BBQ dogs: A sometimes food. 9. Walk a Taco, Target Field, Minnesota: Despite their fans’ demand that they deep fry a taco on a stick, the Twins concession folks have taken the easy way out and brought in local vendor El Burrito Mercado and their Walk A Taco instead. In following the other Midwestern tradition of putting savory food in cones, Walk A Taco is essentially a taco salad in a crispy cone-shaped flour tortilla. It sounds delicious but also a bit dangerous. I’d wait for that thing to cool down lest you bite right into a hot molten volcano of cheese. Also, it’s funny that these are called “Walk-a-Taco” since most of the Twins fans will be sitting on their behinds when they scarf them down. 10. Doyer Dog, Dodger Stadium, Los Angeles: Walk right past the new turkey burger stands in Chavez Ravine, friends. If you want the best new concession in L.A., try out the Doyer Dog, a spicy and much improved version of the Dodger Dog. It’s an all-beef wiener smothered with chili, nacho cheese, chopped tomatoes, onions and jalapenos. I sampled my first ever Dodger Dog at this notorious Dodgers loss back in 1990 (check the ninth inning in the linescore) and I was not impressed. But, I suppose one could smother a piece of cardboard with chili and jalapeno peppers and that corrugated meal would taste pretty good. ¡Viva los Doyer Dogs! Rob Iracane is a contributor. 10 Things Extraordinary Bosses Give Employees ! “Good bosses care about getting important things done. Exceptional bosses care about their people”. Exceptional bosses do all of the above–and more. Sure, they care about their company and customers, their vendors and suppliers. But most importantly, they care to an exceptional degree about the people who work for them. When an exceptional boss changes a standard or guideline, she communicates those changes first–and when that is not possible, she takes the time to explain why she made the decision she made, and what she expects in the future. Great bosses know that employees who make suggestions care about the company, so they ensure those employees know their input is valued–and appreciated. That’s why a kind word, a quick discussion about family, an informal conversation to ask if an employee needs any help–those moments are much more important than group meetings or formal evaluations. Employees will only care about your business after you first show you care about them. One of the best ways is to show that while you certainly have hopes for your company’s future, you also have hopes for your employees’ futures. Source: JEFF HADEN learned much of what he knows about business and technology as he worked his way up in the manufacturing industry. Everything else he picks up from ghostwriting books for some of the smartest leaders he knows in business. Getting quality officials is difficult, expensive and vital ! In any sport there is a need for an official to assure the games are played fairly and assist in the scoring. Whether it is a youth wrestling match or an NCAA National Championship, some type of official is involved with the outcome. During our years of hosting quality regional, state and national championships we have learned that the higher the quality of officials, the higher quality of your event. Today’s events require a level of competence that matches or exceeds the level of play. And while the cost of the officials can be burdensome to the events’ profit and loss, it is a critical aspect that needs to be provided. For many of our events we cover the transportation costs to get the officials to the event, provide housing in local hotels, provide meals and hospitality and pay them the going rate. As an example, during the USA Hockey Junior Nationals held in Rochester earlier this year, we paid $355 per game for the three on-ice officials for each of the 15 games for a total of $9,255. Hotel room costs were close to $3,000 and hospitality came in at about $1,000. That makes the cost of officials $833 per game! The recent ASA Northern National Softball had 44 officials covering 262 games making a total paid for games more than $16,000! Factor in the hotel costs and other expenses you can see how quality officiating is a major expense of high end sporting events! For other events finding quality officials can be difficult. The qualifications they have earned can make some in high demand. Consider sports such as gymnastics or figure skating where the performance is solely determined by the scores of the officials. The difference between a medal and “just missed” can be tenths of points. As an athlete, coach or parent you want the highest quality official doing this type of scoring since it directly impacts the measured success of each performance. 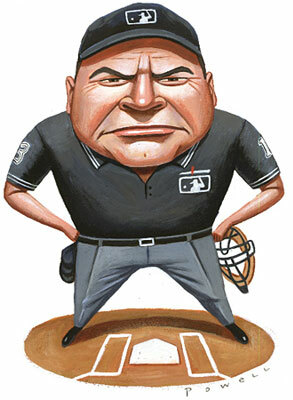 Other sports such as volleyball or tennis, a referee might play a lesser role. However, they are still a critical element as they determine several important issues during a match and can have a direct role in the outcome of the competition. In 2012 our organization spent almost $150,000 in officials cost while hosting a variety of events. We work hard to bring in top talent to assure our events are run well, identified as high-quality events and assure those competing that their efforts will be treated fairly. We need to be grateful to these men and women who have given effort to become experts in their sport and to give their time back toward the competition they know. They work long days, put up with critical remarks from coaches or parents and never seem to be appreciated. And still they do all they can to assure the games are played fair and by the rules. It is not a job for everyone – and if you think it is easy, give it a try some time. We understand how critical quality officiating can be towards the outcomes of amateur sporting events we are involved in. We are thankful for all their efforts ! Barnstormers drop prices of some concessions after fan feedback ! The price of beer at Clipper Magazine Stadium isn’t decreasing, but if you buy nachos, hot dogs and ice cream with that beverage, you will spend less. The price reductions — and some other changes at the ballpark — follow a July survey of about 1,000 fans by the Lancaster Barnstormers. The reductions took effect with Tuesday night’s game. “This is the community’s ballpark. Having the fans energized and feeling their feedback is (acted on) is important to us,” team president Lisa Riggs said. Kristen Simon, the team’s general manager, said the Barnstormers decided to lower prices and make other changes now instead of next season because, well, they could. “A lot of the changes people are calling for are things we can work on with our partners, Legends Hospitality Management, immediately,” she said. And — hint, hint — there are 18 regular season home games left, and the possibility of playoffs, Riggs said. The team has done surveys before and made minor tweaks based on them, but this is the first time it’s shared results so broadly, Riggs said. It emailed a letter about about the survey and changes to fans, and the survey is on its website. Another change is new equipment to manage and equalize sound in response to criticism that the sound system can be loud. Crowd size and seating location can affect the sound, so further tweaks may be needed, Riggs said. Overall, the ballpark largely had positive feedback, but food and drink prices received the highest percentages of unsatisfactory scores in seven survey categories that used a one-to-five rating scale. Nearly 26 percent and nearly 29 percent of respondents said food and drink prices, respectively, were “not at all satisfactory,” according to the survey. So the team dropped prices of certain popular concession items, including regular and jumbo hot dogs, cheeseburgers, chicken tenders, chicken breast sandwiches, large french fries, some sodas and ice creams. The prices were reduced by about a quarter, Riggs said. Although there were a few glitches with implementation of the new pricing system Tuesday night, Riggs said the feedback overall was positive. Lower prices and sound-system improvements aren’t the only changes. The hot dogs also should be hotter. 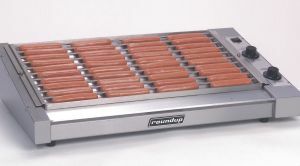 In response to feedback that hot dogs weren’t staying hot, staff will check their temperature regularly and serve them in a closed foil pack to retain heat. Improved french fries also will be served, and the team will be asking customers about them. Legends Hospitality Management will provide more customer service and a “secret shopper” campaign to ensure good service and food quality. The ballpark scored well on cleanliness, customer service by game-day employees, fireworks and other entertainment. Several game-day employees have been with the team since the beginning, Simon said. “One of the answers is, I think our primary focus here at Clipper Magazine Stadium is family friendly events,” Riggs said. 7 Ways to Manage Email So It Doesn’t Manage You ! I’m always struck by the number of people who complain about the amount of email they receive and how much they despise their inbox — not because their complaints aren’t valid but because my own view couldn’t be more different. By design, my inbox has essentially become the central hub of my workflow — it’s the way I routinely communicate and exchange information with our 4,300+ employees operating in 26 cities around the world. That’s not to say I’ve always been a fan of email, or that I haven’t had my own Sisyphean inbox experiences. However, over the years I’ve developed several practical guidelines that have enabled me to manage my inbox effectively and ensure it’s not managing me. I look forward to hearing your best ideas and hacks for managing email in the comments below. As ridiculously simple as it sounds for such a pervasive problem, I’ve found this to be the golden rule of email management: Send less of it. This rule first occurred to me during my experience at a previous company where two of the people I worked most closely with ended up leaving the organization within the span of several weeks. They were both highly effective communicators, worked long hours, and as it turned out, sent a lot of email. While they were at the company, our email cadence seemed absolutely normal. It wasn’t until after they left that I realized my inbox traffic had been reduced by roughly 20-30%. Turns out, it wasn’t just their emails that were generating all of that inbox activity — it was my responses to their emails, the responses of the people who were added to those threads, the responses of the people those people subsequently copied, and so on. After recognizing this dynamic, I decided to conduct an experiment where I wouldn’t write an email unless absolutely necessary. End result: Materially fewer emails and a far more navigable inbox. I’ve tried to stick to the same rule ever since. When hovering over any individual email in your Outlook inbox, a simple right mouse click results in a series of subsequent options you can take. One of those, “Mark as Unread,” has fundamentally changed the way I work. Having the ability to mark an email unread enables me to quickly glance through my inbox, respond to things that are most time pressing, delete the things that are irrelevant, and mark unread those items I’d like to return to once I have the time. This alleviates the pressure of feeling I have to do everything right now for fear if that one important email falls “below the fold” of my screen, it will be lost forever under the looming avalanche of prospective incoming messages. It also essentially serves as a to-do list of items to be addressed later. I try to end each day with as few items marked unread as possible, with the goal of having none. If I’m unable to get to everything that night, I’ll start the next morning by addressing the unread emails received the prior day. Turns out, my inbox is very manageable when I stick to this schedule. However, every time I’ve tried experimenting with even the slightest change to this routine, travel for more than a few days at a time, or have a particularly hectic couple of days back-to-back, it never ceases to amaze me how quickly clearing my inbox ends up feeling like this. In this case, it’s the compounding effect that’s particularly troublesome, i.e. 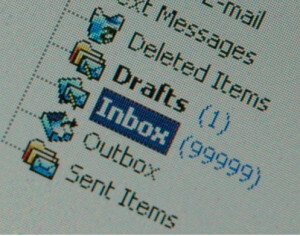 the rate with which unread emails from the previous day start to mount and the accompanying pressure that generates. It gets so bad for some that they actually go as far as declaring email bankruptcy. The most compelling way I’ve found to avoid this state is creating a routine and closely sticking to it. If it worked for Benjamin Franklin, it can work for you. Remember the telephone game you played in elementary school where the teacher got the class in a circle, turned to the student sitting next to them, whispered a line like “Do you want to play kickball at lunchtime?” and then asked each subsequent student to whisper what they heard to the child sitting next to them? By the time it came back around to the teacher, it would inevitably be revealed as something akin to “I want to eat a kickball for lunch.” While this was laugh out loud funny in third grade, in business it’s anything but. Words matter. Choose them carefully in email to avoid ambiguity and misinterpretation. The more precise you are upfront, the less likely you’ll see subsequent emails generating confusion and asking follow up questions seeking additional clarity — and the more you and your team will be able to focus on the work at hand. It seems like for many people, the To: and Cc: fields in email have become largely synonymous. They’re not. Use them to draw a clear distinction between who the email is being sent to and from whom you expect a response from (the To: field); and who is being copied so they have the appropriate context (Cc:). One of the fastest ways to have an email thread blow up in terms of downstream volume is to be less than clear about who you expect to respond. Six people in the To: line will oftentimes have the unintended consequence of generating six different email responses (and up to six different new threads) when one person’s response is all you needed. Here’s an easy one: If the email sender has taken the time to address you in the To: line (and it really was intended for you vs. what should have been a Cc:), take the time to acknowledge you received it. The response doesn’t need to be a diatribe. To the contrary, the fewer words the better, e.g. “Thanks,” “Got it,” “Makes sense,” etc. This lets the sender know you received the message, don’t need any additional information or context, and thus they can check it off their list. If you don’t respond, they’ll have no idea whether or not they’ve been heard. Not only will this create worry about whether or not you received it, it is likely to generate another email with fundamentally the same content, but this time a number of additional people in the To: line in the hopes they’ll respond given you didn’t. The more people addressed, the more crowded your inbox is likely to become. Email can be a valuable productivity tool when used properly. It can also be equally destructive when it’s not. One of the most egregious examples of the latter is using email to communicate highly nuanced, sensitive subjects that are bound to generate controversy if not a flat out aggressive response. If you find yourself in the throes of what is clearly becoming an antagonistic discussion online, do yourself a favor: Stop. Then either pick up the phone or head over to the person’s office to have the discussion in person. Face-to-face interaction will reintroduce all of the important sub-text that will be completely lost in email and help prevent unnecessary arguments or douse heated flame wars before they begin.
. . . These are some of the most valuable inbox practices I’ve learned and incorporated over the years. Anytime I veer too far from these habits, I inevitably find myself running faster and faster just to feel like I’m standing still. However, when implemented regularly, these rules have resulted in email playing an essential role in my daily work routine . . . 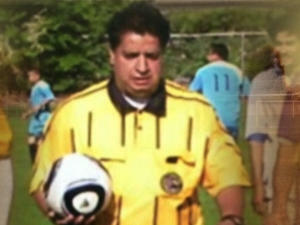 Teen pleads guilty in referee’s death ! (CNN) — A 17-year-old soccer player in Utah pleaded guilty Monday to homicide by assault in the death of referee Ricardo Portillo, an official said. A judge ordered the teenager, who has not been named publicly, to keep a picture of Portillo in his cell phone for the remainder of his time in juvenile jail. The judge recommended a sentence of three years, said Salt Lake County District Attorney Sim Gill. In addition, the judge ordered the teen to write weekly letters to Portillo’s family members, telling them what steps he is taking to return to normal life. On April 27, Portillo, 46, was refereeing a game of Fut International, a Hispanic soccer league for children between ages 5 and 17, in the Salt Lake City suburb of Taylorsville. He cited a player for an infraction and issued him a cautionary “yellow card.” A second infraction would result in the player’s ejection from the game. The 17-year-old player, police said, turned around and punched Portillo in the face. At first, authorities thought Portillo suffered only minor injuries. But at the hospital, doctors discovered serious internal head injuries. For seven days he remained in critical condition. He later died from his injuries. Portillo had three daughters and three grandchildren, who live in Mexico. He moved to the United States 16 years ago. “I just need time to heal. It’s a lot of pain that this kid caused my whole family, especially my sisters and I,” Johana Portillo, his daughter, told CNN in May. Plans for Extreme Sportspark near Las Vegas Strip ! Las Vegas, NV (KTNV) — Just a couple blocks from City Center on the Las Vegas Strip, right behind the MGM Grand, what now is an empty lot could someday rake in a lot of cash. That dirt lot is 34-year-old Josh Kearney’s field of dreams. The Australian businessman said he’s just about finished with the financing and securing the land for a $50 million extreme sports park on Tropicana Avenue near Las Vegas Boulevard. Kearney said “Vegas Extreme” will be a game changer. Artist renderings show plans that include a white sand beach and a shallow lake for jet skiing and white-water rafting. It would also feature motor cross riding and zip lines. Kearney said it would be powered by renewable energy sources on 42-acres across from McCarran International Airport. Kearney has not spoken to Clark County Commissioners about the project, but said he’s confident they will support his plans. As soon as financing and the land lease agreement are finalized, Kearney said construction could begin and wrap up within a year. 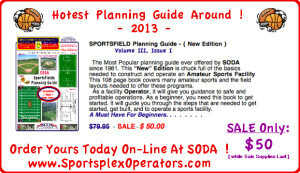 SPORTSFIELD Planning Guide – (New Edition) Volume III, Issue I !